Receive real-time insights in network traffic patterns to your application in Google Cloud. What is Google Cloud VPC? Google Cloud VPC provides the key networking concept of the modern cloud - Virtual Private Clouds (VPCs). You can easily provision GCP resources, connect them to each other, and isolate them for security purposes using VPCs. Google Cloud VPC is the key service for managing the network security of your cloud application on GCP. Integrating directly with Google Stackdriver, Sumo Logic provides real-time observability for your GCP-generated log data. 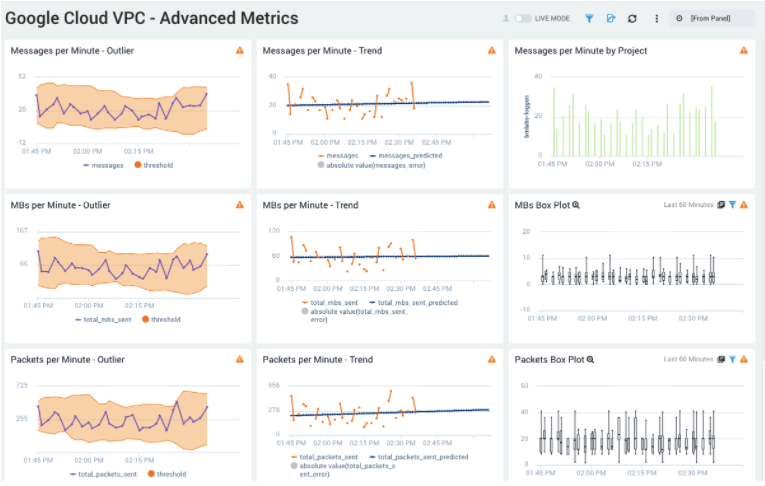 With the Sumo Logic app for Google Cloud VPC, gain real-time insights and analytics into network activity through interactive, customizable dashboards. Also look for unusual traffic patterns and suspicious activity with outlier detection. 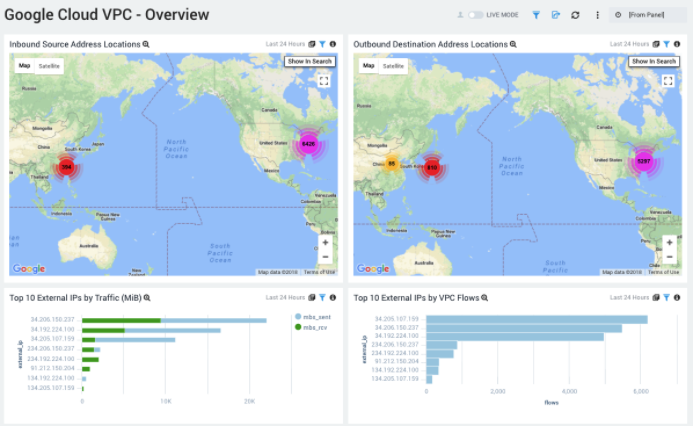 With the Sumo Logic app for Google Cloud VPC, gain instant visual insights, and integrate it with other data from Google for complete monitoring and security.